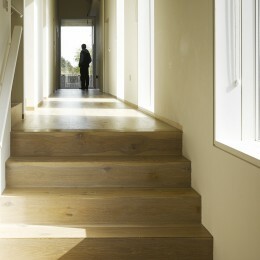 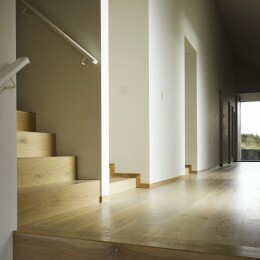 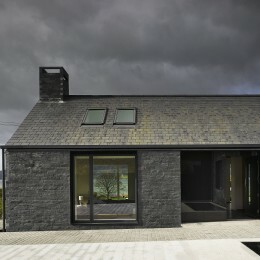 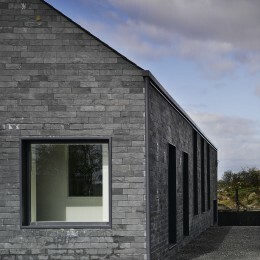 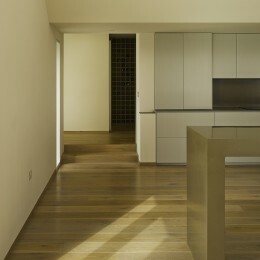 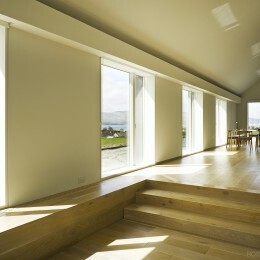 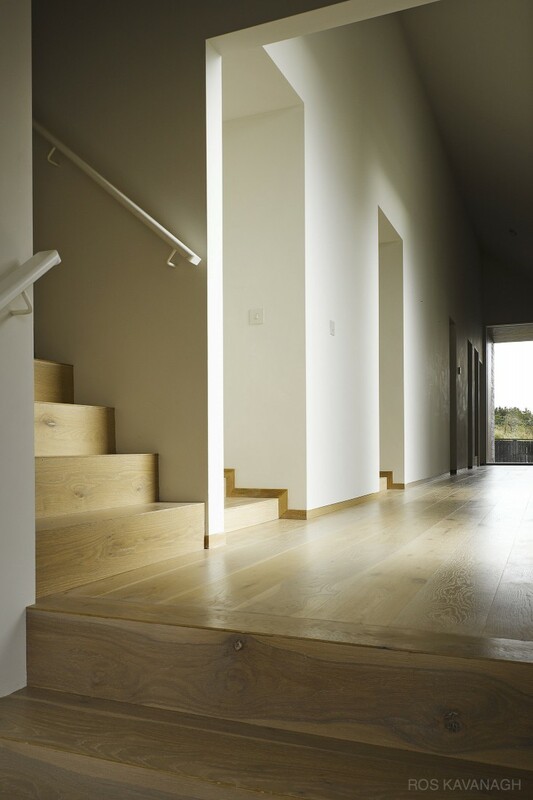 Killowen House | Ros Kavanagh. 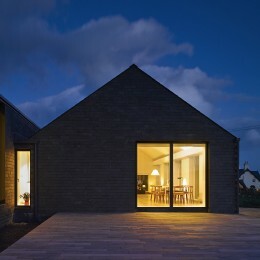 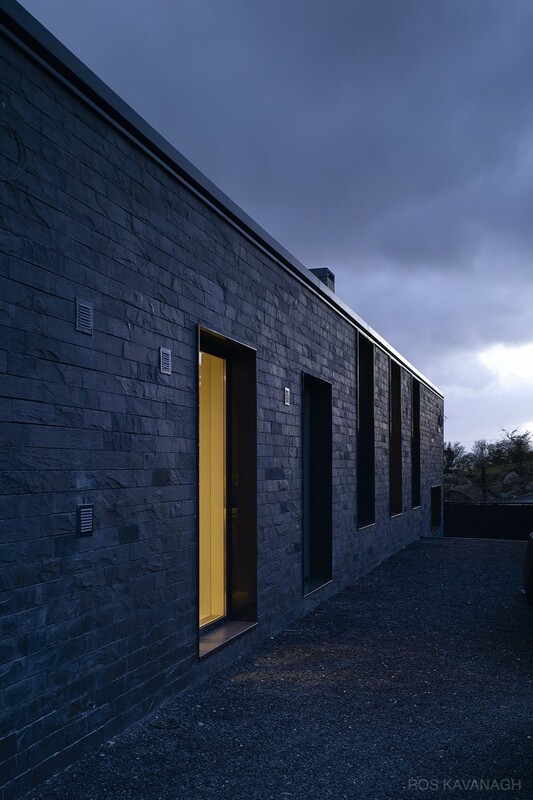 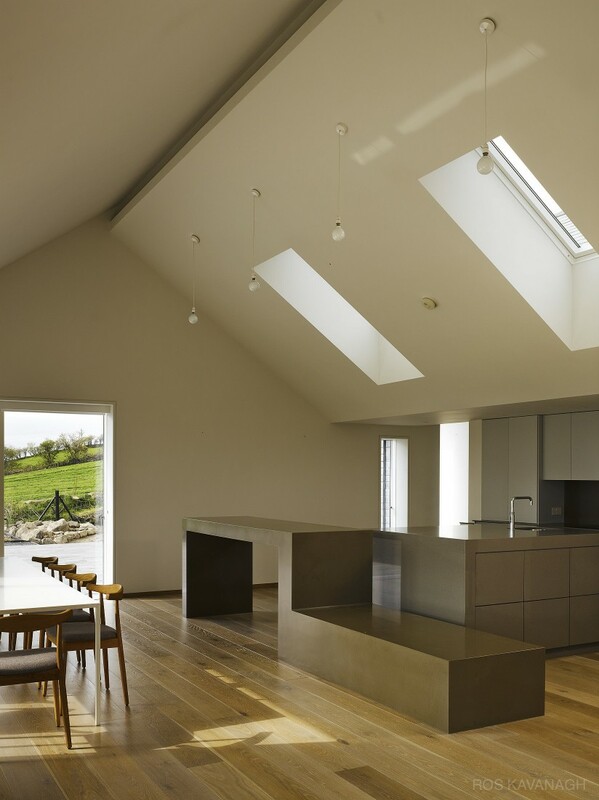 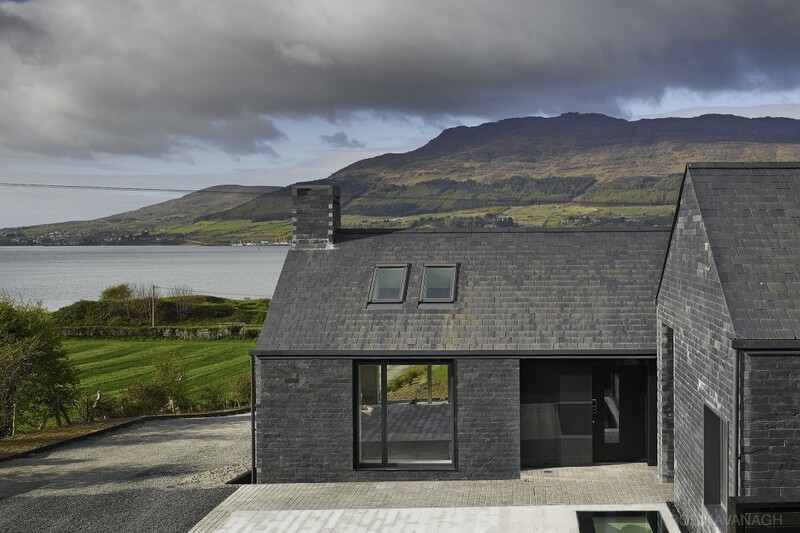 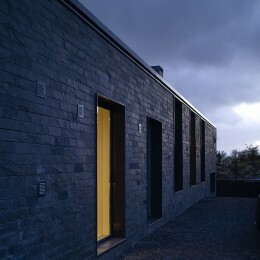 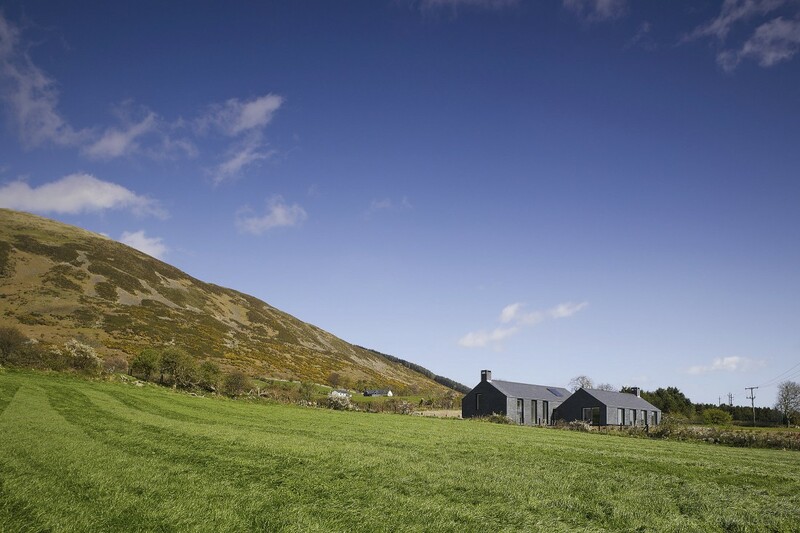 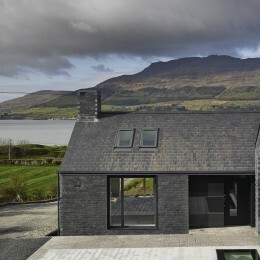 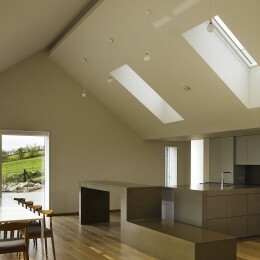 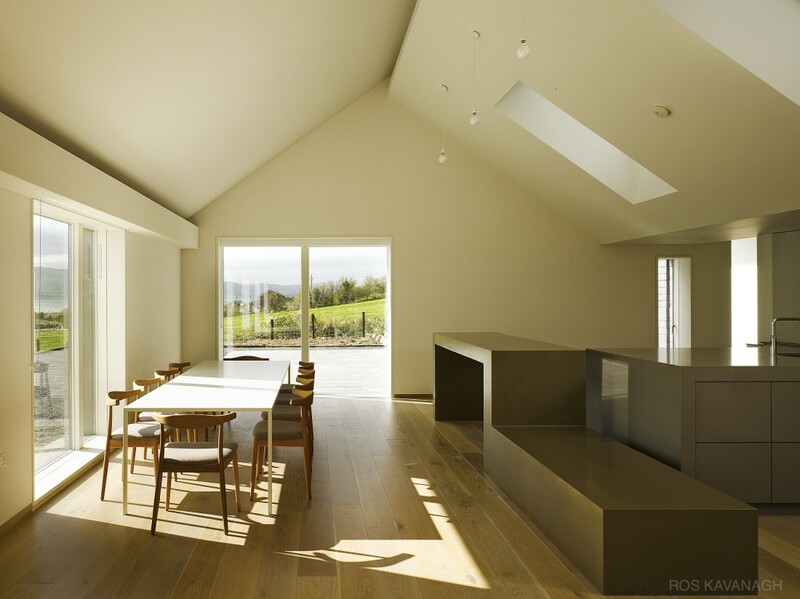 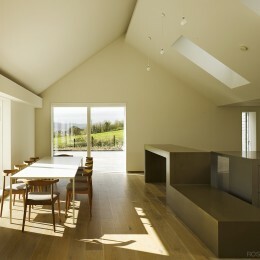 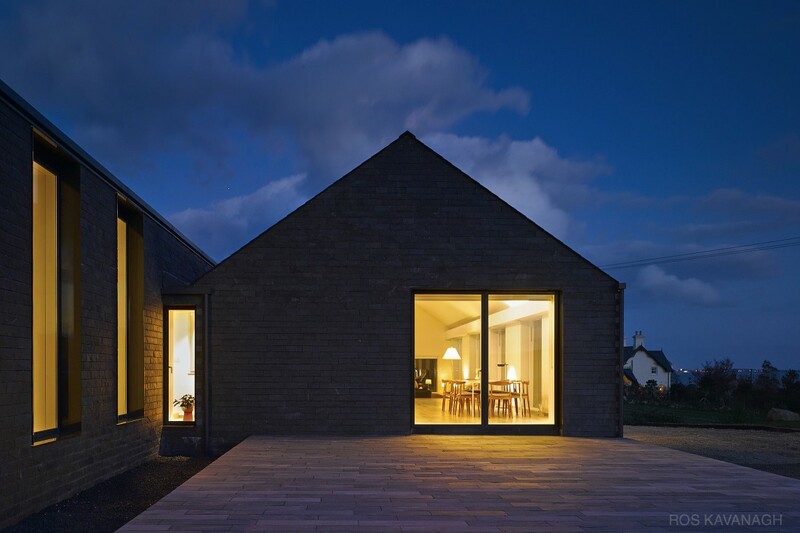 The house sits on a hillside above a fjord, Carlingford Lough, a deep sea inlet set amidst a dramatic, igneous landscape between the Mourne and Cooley mountains. 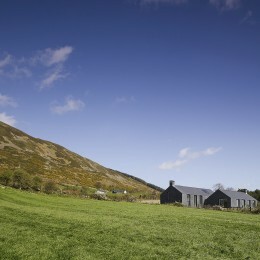 The local landscape is characterised by distinct and ancient features, cairns, standing stones; and the Cloughmore Stone – a glacial erratic. 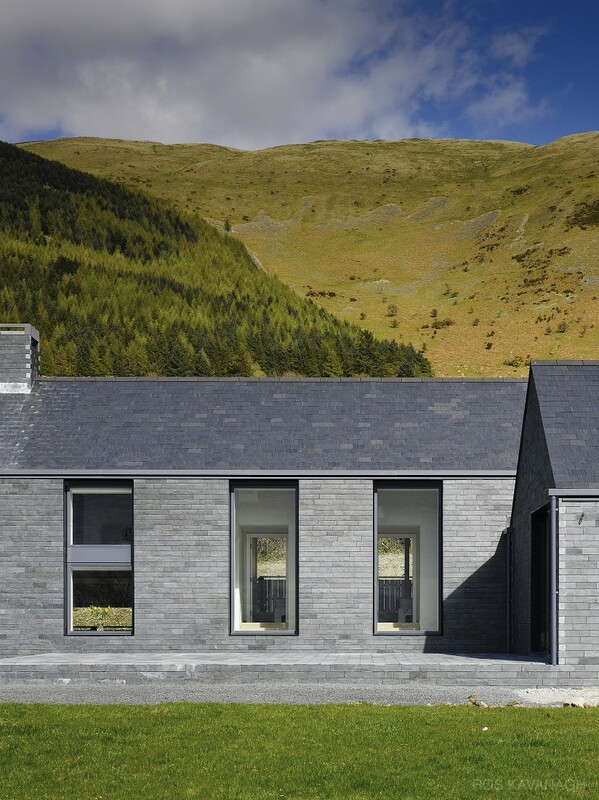 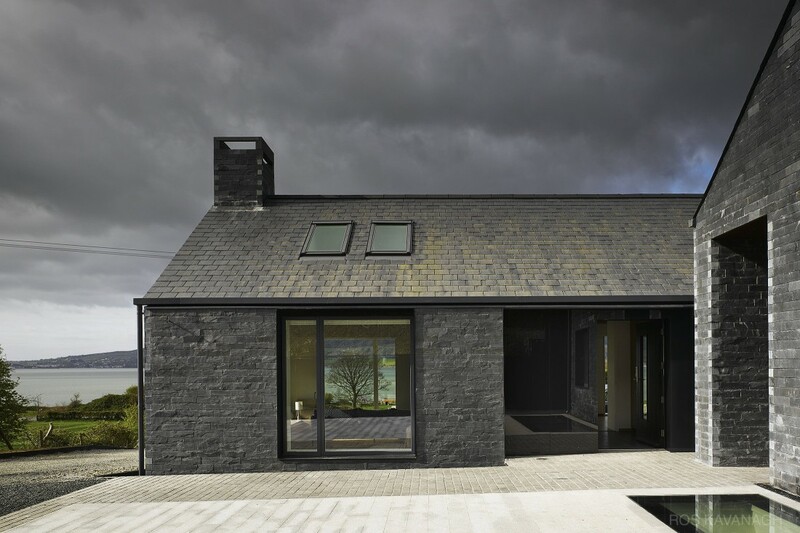 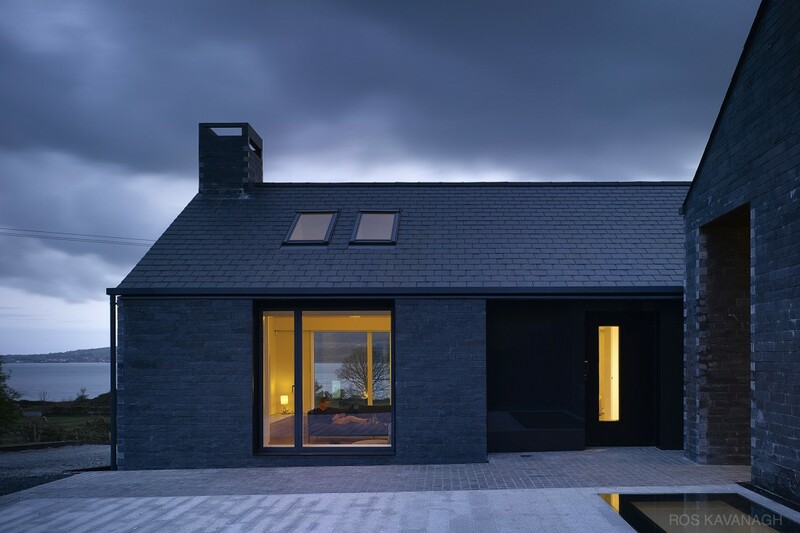 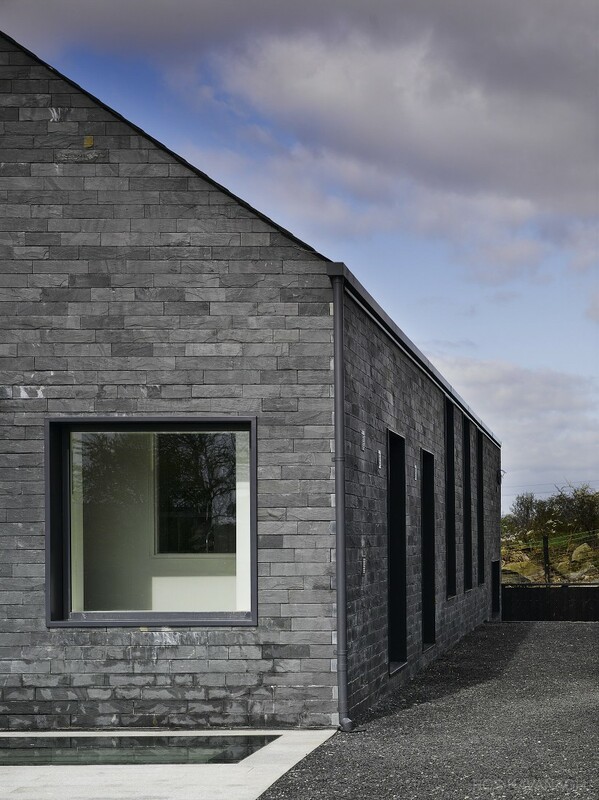 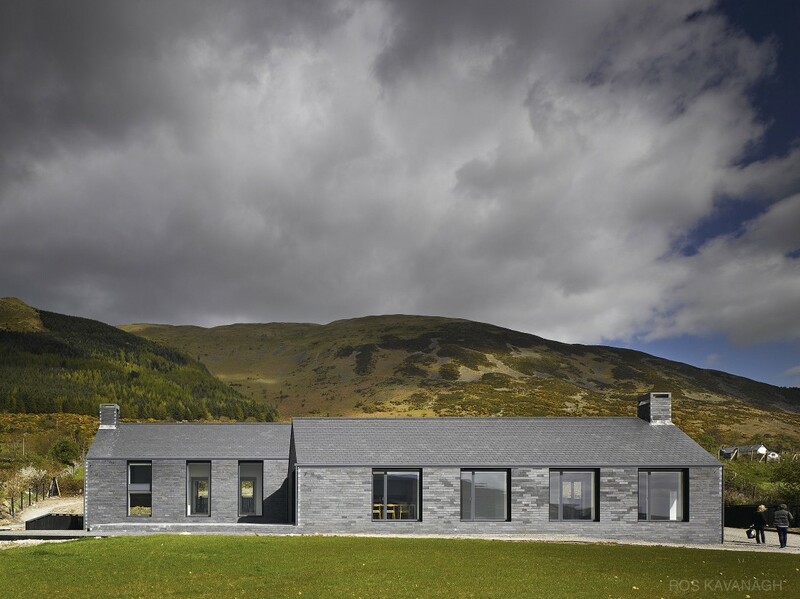 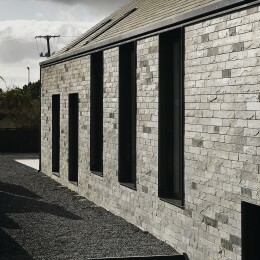 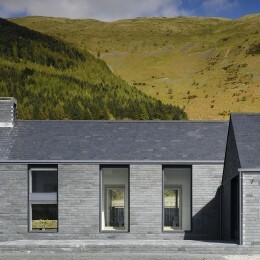 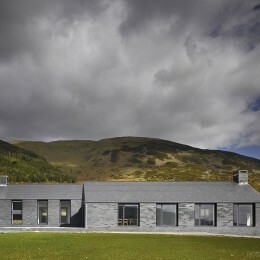 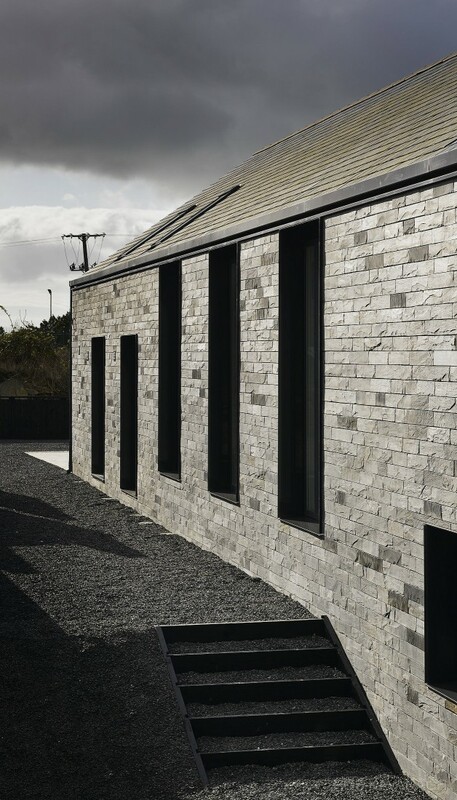 The house reads as another stone presence embedded in the land – the uniformity of slate roof, and deep walls clad in precisely cut 100mm courses of thick stone (slate) convey permanence. 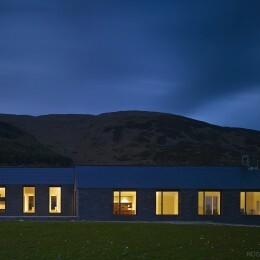 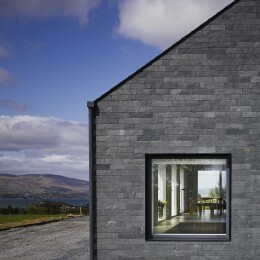 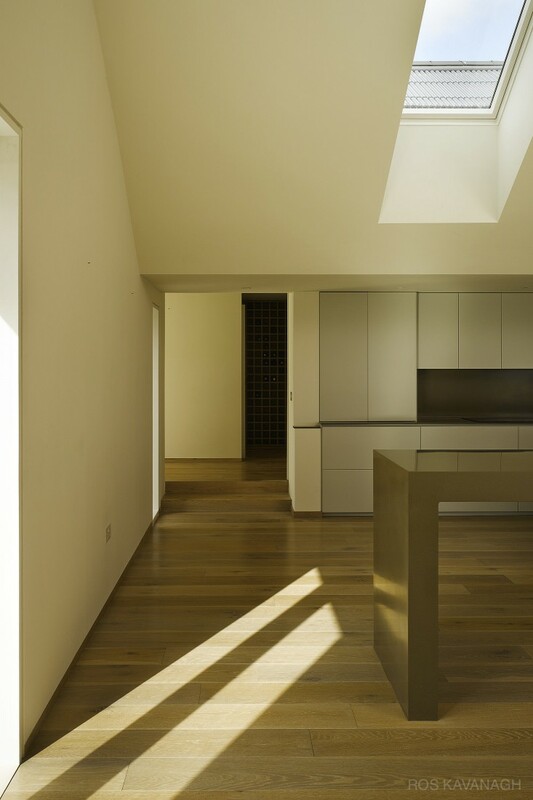 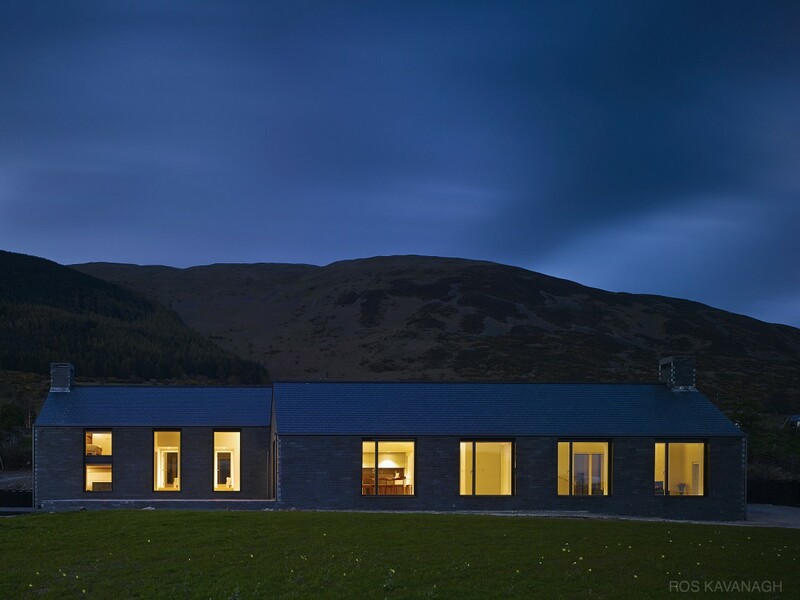 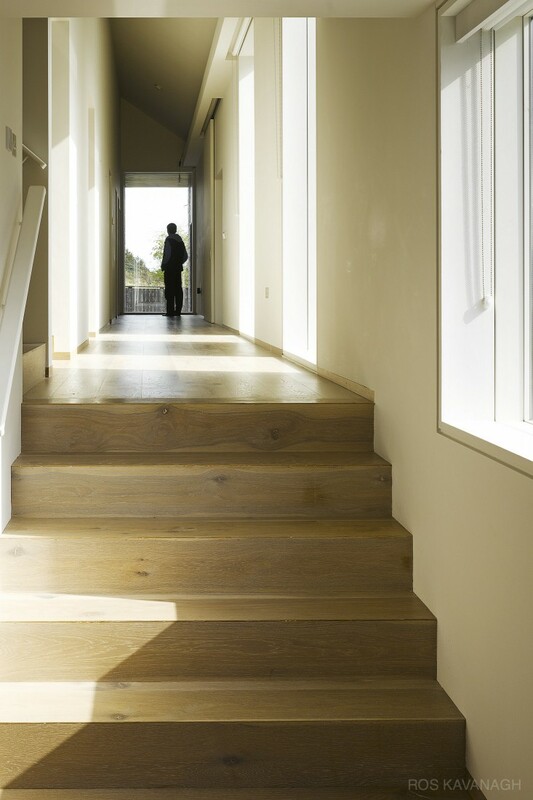 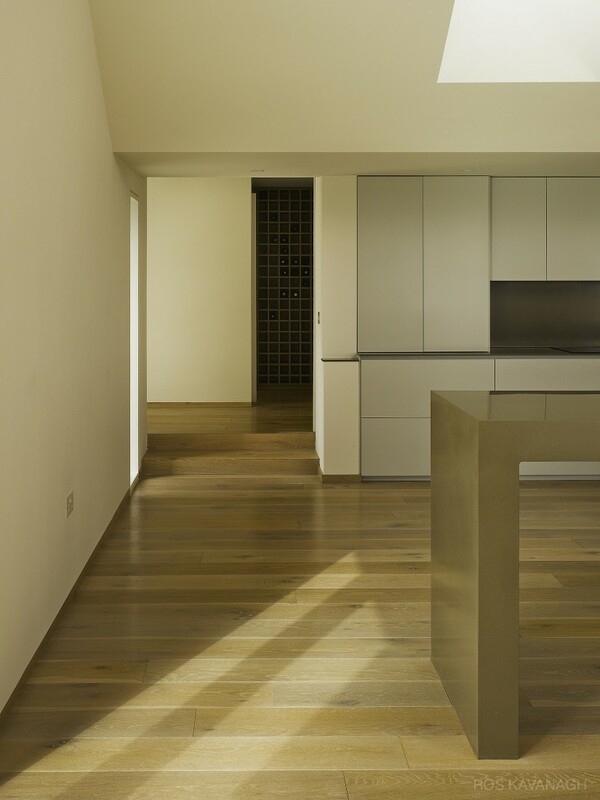 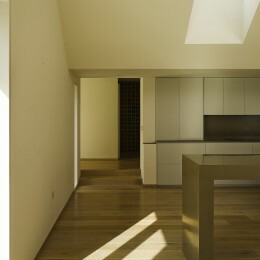 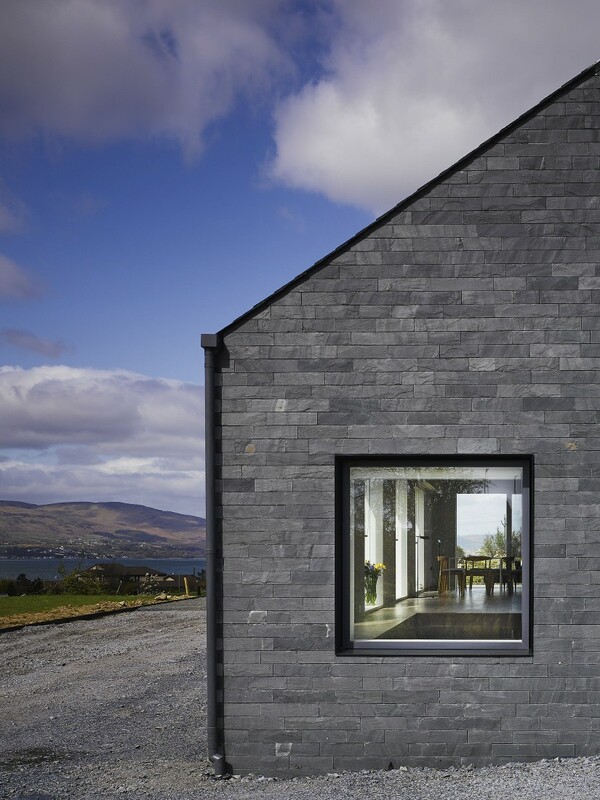 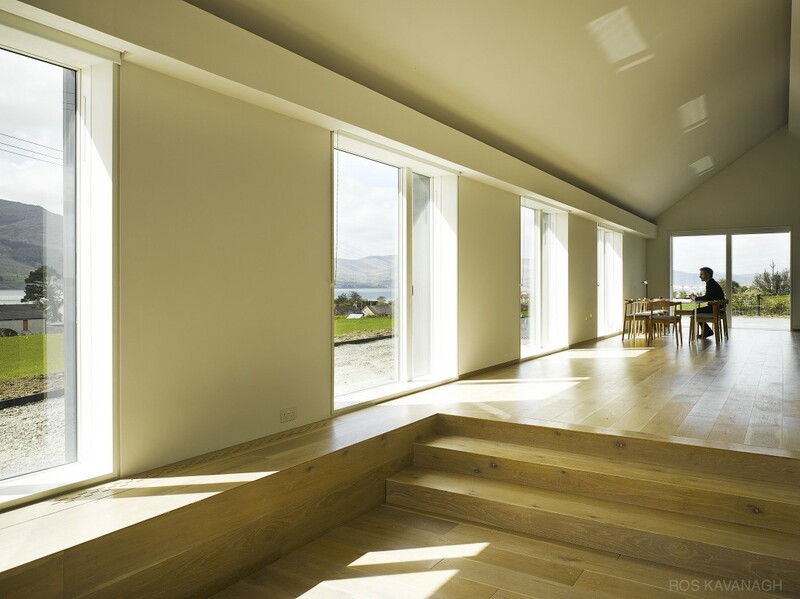 The house takes the form of two narrow pitched roofed elements, the rear block is organised as a bedroom wing, while to the fore living spaces spread across the block to address views over the Lough and mountain through a row of four windows.